We’re excited to announce the launch of our new software, which combines powerful protection, beautiful design, and ease-of-use in an integrated single application available for iOS and Android devices, as well as Mac and Windows computers. * Visualized tracking: see the invisible tracking and unsecured connections on websites you visit and apps you use. * Encrypted Internet: route all traffic through Disconnect’s encrypted tunnel to prevent wireless eavesdropping, secure your connections, and protect sensitive personal info from privacy invasive tracking, including mobile and desktop supercookies. * Safe browsing: prevent malvertising, block 5000+ malicious trackers, sources of malware and other identity theft threats with Disconnect’s virtual private network (VPN) technology. * Anonymous search: search privately and securely using your favorite search engine. 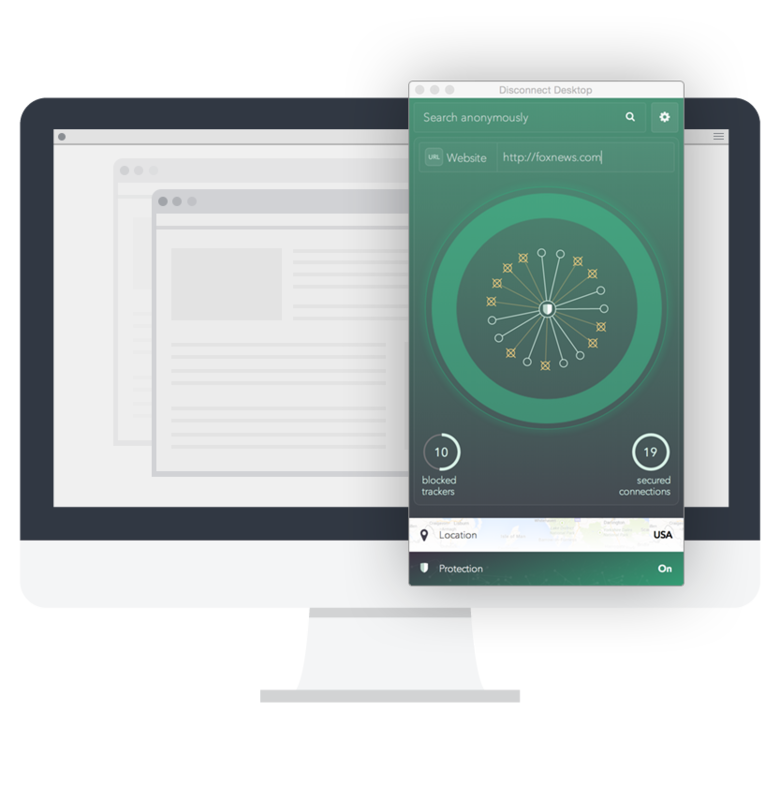 * Location control: defeat Internet censorship and access content freely without revealing your true location and IP address. * Privacy icons: at a glance, easily understand the privacy policies of 1000s of sites, plus other details about how your data is collected and used. The technology powering our new software allows us to protect you from more threats than ever before. And moving our logic to the cloud means we can adapt in real-time to counter new attacks, and simultaneously offer this protection across all the major platforms and devices. Our goal was to create a powerful privacy and security tool that is elegant, dead simple to use and doesn’t break or slow down the Internet. We think this app is a big step towards achieving this goal.